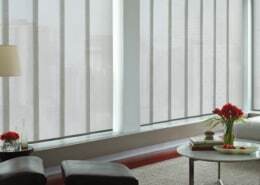 Screen shades can do more than just offer privacy and light control; they are designed to provide UV protection, while reducing glare and heat gain in a room. 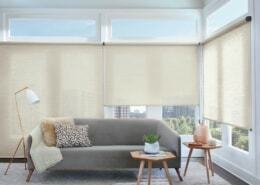 Designer Screen Shades are available in 72 fashionable styles, including innovative screen fabrics. 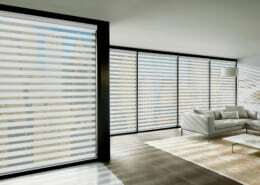 Available in a range of openness factors, you can select the view and level of light you want. Most fabrics are also available in Skyline Gliding Window Panels.